ROUNDTABLE | As the Dallas-Fort Worth multifamily market continues to thrive, industry experts take on the topics that are changing the game. The final installment of our series looks at how amenities have evolved, the rise of IoT and emerging technologies, disruptive trends, transportation, sustainability, and what the future holds. Dallas-Fort Worth continues to get denser and more urban, even in unlikely places like the suburbs. With that comes challenges such as gaining community support, betting on the right innovations, and—the topic on everyone’s minds—housing affordability. North Texas has 50,000 units of multifamily, give or take, set to be completed by the end of 2019. And we’re growing by about 150,000 people annually. Such intense growth is making the region’s multifamily housing market more interesting than ever as technology disrupters, an age-old amenities arms race, and affordability challenges shake out. In the first installment of the three-part series on the multifamily sector in Dallas-Fort Worth, the panelists discussed the strength of the market, the drivers of demand, changing demographics, and where the money is coming from. Part Two delves deeper into the DFW multifamily market, from affordable housing and urban-suburban developments to co-living and the Airbnb influence. In Part Three—the last in the series—the real estate experts discuss the multifamily sector: How amenities have evolved, the rise of IoT and emerging technologies, disruptive trends, the impact of transportation, sustainability, and what the future holds. As CEO of Gables Residential, Sue Ansel has been with the 36-year-old company for more than 25 years. Gables owns, develops, and manages multifamily and mixed-use projects throughout major U.S. markets, accounting for 30,000 units. Locally, Gables is nearing completion of Gables Water Street in Las Colinas. Tom Bakewell co-founded StreetLights Residential in 2011 with its CEO Doug Chesnut and now serves as its President of Development. The 7-year-old company focuses on urban infill multifamily developments and has 15 projects under construction. StreetLights is nearing completion on two Dallas projects, The Christopher at The Union and The McKenzie. Evan Beattie is President and Senior Principal at GFF Architects. In his more than 15 years of experience, Beattie is focused on managing complex residential projects through design and construction phases. GFF is focused on urban infill mixed-use projects that often include zoning changes. Dallas-based Thackeray Partners invests in and acquires multifamily and industrial projects throughout the nation. As a partner, Rob Bennett has more than 15 years of experience, including more than 10 years at Thackeray, where he focuses on its multifamily platform. 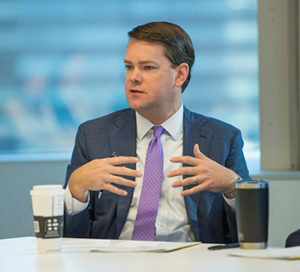 Sumner Billingsley is Vice President of Multifamily and Retail Development at Billingsley Co., the family-based development company behind projects such as International Business Park and One Arts Plaza. Sumner is primarily focused on multifamily projects at Austin Ranch and Cypress Waters. 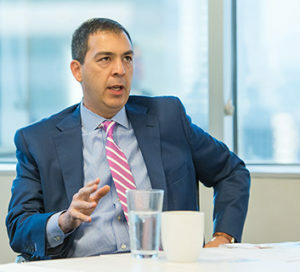 Paul Geyer is Managing Director at PGIM Real Estate Finance, a division of PGIM Inc. and the principal asset management business of Prudential Financial. Since his tenure began in 2002, PGIM Real Estate Finance has become one of the largest commercial and multifamily lenders in the U.S. with more than $90 billion of mortgages under management and administration. The panel was moderated by Julia Bunch for the Dallas-Fort Worth Real Estate Review. The following transcript has been edited for Dallas Innovates. How has the role of design evolved in terms of amenities, and what are renters wanting that’s different than in past years? BENNETT: Looking to student housing spaces as a predictor of what amenities will be in demand helps you know [more about future] residents. But the student market’s changed so much: When I moved out of where I lived in college versus my first apartment, I was just happy it had hot water. Now, student housing property is nicer than any apartment I ever moved in, and the level of amenities that [those students] will expect when they move out and get their first job are dramatically different. BAKEWELL: My son’s in a student housing apartment in Austin, and there are six rooms with a giant living room. They have a theater in their apartment. BILLINGSLEY: It’s not just the amenities that are different. The most important thing is the programming you’re doing to back them up. Anybody can have a living room or a clubhouse. At each of our properties, we do about three events per week on average. Everything from a small book club to wine on Wednesdays to pool parties that can be around 400 people. We’ve brought on a full-time events coordinator. At Cypress Waters The Sound, we’re developing the lake front there, which is the retail and the high-rise multifamily along the water, as well as a couple of office buildings. That’s an entire new chapter for our company. … We’ve got a sound stage there. We’ve got a smaller stage that we’ve got all the acoustics prewired so that we can have a Tuesday night band come and plug and play — not reinventing the wheel each time. We’ve got Legos for kids to build with. We have extra storage units on site. We’ve got hike and bike trails that will tie into the Campion Trail. We can accommodate rehearsal dinners. It’s a whole new part of the entire process. If we want companies to relocate to these sites, we have to be able to attract the talent. With regard to the actual design and the spaces, it’s very different. Each of our properties has a different design style right now because that’s what millennials want—it’s experiential. The dog parks and all those other amenities are becoming sort of expected. BEATTIE: We’ve seen a huge increase in the percentage of renters who are dog owners. We’ve spent a lot of time in the design phases talking about how we’re going to accommodate dogs, [considering] the amount of time that dogs are spending inside the unit when somebody is away—sometimes eight or nine hours. Some are having to restrict an elevator that dogs can ride, because there are too many accidents that can happen, ruining the “arriving home” experience. We have one project in the early design phase where the client is trying to figure out how to provide dog daycare for their tenants as a service. It’s a staff thing that’s built in so [a tenant] can drop off their dog or have the dog daycare come [take the dog] for an hour a day. I think that’s an amenity that will cause a lot of tenants to be excited. BEATTIE: You end up planning your day around your dog a lot of the time. BENNETT: The standard question you can ask the investment broker when you walk in the clubhouse is, “Do you have WiFi?” and “Is this available to tenants after hours?” Of course, the answer is “yes” and “yes,” but no one ever used it, right? You had to have it as sort of your “wow factor” when you walk in. We’re seeing those spaces have been activated: They are actually being used. In the middle of the day, you’ll have a few people who have flex schedules or work from home who are officing in the common areas. That’s a change we’ve seen in the last five years. BEATTIE: It’s the rise of shared office spaces. If you can deliver a functional shared office type of environment in your project, it’s meaningful to the people who work from home or stay home one day a week. BAKEWELL: One of the amenities that we’ve added to our properties is a private bar. We started out trying to tailor our properties after a boutique hotel experience. Everybody said the one thing a boutique hotel has that apartments don’t is a bar. It’s a gathering place, a social area. We’re rethinking that a bit: Instead of making it a private bar, we’d make it a more public area so that we have more people in there, and it gets energized. We’re starting to do more community spaces. Some of it needs to be programmed, but some of it doesn’t. If you have more coworking space where people are coming and having a purpose to be there, versus kind of hanging out and having fun, that’s a purpose too. Then you own the bar? Do you need your own TABC license, or do you contract out? BAKEWELL: The bars we’ve done, we’ve owned, and we’ve gone through TABC licenses. Now we’re going to other states doing the same process, and it’s a learning experience. … We’re realizing that it may be better to sub that out to a different group—one that does it every day versus the amount of hours it takes for us to do it. It’s a lot of work. BILLINGSLEY: These are the sort of things that we’re all stumbling our way through right now, figuring out the right balance. … At Cypress Waters, we’re putting in a coworking space. We wonder if we’re going to be operating it, or should we bring in a third party? We’re still working that out. We’re also putting in an unmanned mini-mart—converting a unit on one of the floors. ANSEL: We’ve had amenity races for years, and it’s hard to imagine that one more dog park or dog washing station is going to make a difference in the big picture. I think it’s about services. We’ve talked about the lock-and-leave lifestyle. The most important currency all of us have—at any income bracket—is our time. So to the extent that we can provide something that gives residents more time—gives them services that make their life easier—I think that’s the differentiator going forward. We’re moving into a period where technology and innovation will dramatically change everything that every one of us does. Rob talked about the Internet: The most important thing you can do now is try to bring in as much Internet capacity as you can to the property and be flexible. Some companies are putting Amazon Alexa in their units. We’ve tried to be agnostic with respect to the ultimate solution so the resident can choose whatever works. BENNETT: I totally agree. [In a recent poll of some] 3,000 residents, the number one thing requested was reliable cell phone coverage. They want to sit on the couch in their apartment and be able to text—that’s an easy fix knowing they want that. ANSEL: Easy or not depending on your building. BENNETT: Reliable cell phone service and reliable WiFi, along with capacity, are huge amenities. Those really impact the resident experience, and it can increase or drive people away. [Another thing] we still haven’t cracked the code on is the package delivery issue. The amount of packages that are delivered to an apartment complex on a daily basis is truly unbelievable. In our experience [it takes] a full-time person in your office to deal with that on a day-to-day basis. It’s just volume. Where do you physically put them? How do you physically get them to your residents in an efficient way? We have package lockers. That’s happening, but it isn’t a perfect solution. There are services where the concierge will deliver packages to the residents’ doors. There are security issues with that, such as who do you allow in your complex and how often? We haven’t quite figured that one out, but on the services side it’s hugely important. BAKEWELL: We’ve started [putting refrigeration storage] along with the package lockers. It’s for everything from the prescriptions that people order that need to be refrigerated to the growing popularity of the Blue Aprons where people have their meals shipped to them. BEATTIE: Amazon’s purchase of Whole Foods is only going to increase the amount of grocery deliveries we see. Having chilled storage, or the ability to convert to chilled storage, is going to become increasingly important. How are IoT and other technologies becoming expected in the multifamily world? BENNETT: Smart home technology is allowing single family rentals to become much more efficient. One of the hurdles is having real market rates for a lot of individual owners. With the advent of smart home technology, you could have a centralized office where you can check on a pool of rental homes without having to physically drive there. That could be a driver of increased competition to conventional multifamily homes. ANSEL: Consolidators talk about that, how it’s changed their business. To your point earlier, it’s coming. Who is going to be the winner? Who knows? There will be 100 excellent ideas and 90 of them will fail, not because they are a bad ideas, but just because of whatever reason. We want to be agnostic on the specific provider. 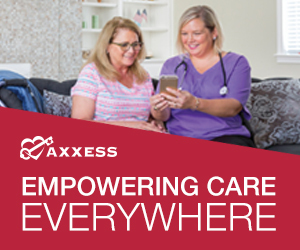 We know residents are bringing their own device: BYOD. So how do we facilitate the use of whatever device they want to bring? We were an early adopter of putting in iPhone docking stations [in apartments], and that was really cool for about two years. Now we have these beautiful iPhone docking stations that don’t work. BAKEWELL: One of the issues right now is that regulation and legislation prevents the actual use of some of this technology. The technology exists, and you try to figure out how to do it, but you can’t do it yet but there are fiber optics that can eat up the entire building with WiFi. You don’t have to call the cable guy. It’s already there, but it’s the cable companies, the phone companies that all want their own equipment. They don’t want to use a general highway that everybody shares like utility lines. You pick up any electric provider you want, and they’re all using the same infrastructure. If we get to that on the internet and cell phone coverage, then that’s a different game, but today we are having to do it the way they want to do it, which is pretty archaic. BILLINGSLEY: We all know there is going to be a shift here with changing technologies going forward. We’re all trying to figure out which horse to bet on. The whole point of all of it is to save people time and make their lives easier. One of these is the idea of having controlled access or remote access. If I have a dog walker who’s scheduled to come at 1:00, he’s granted access [through] voice activation or a device. And he is only granted access from 1:00 to 1:30. … You could have your dry cleaning delivered. But there are so many different companies trying to offer these [kinds of things] right now, and the cost of installing this stuff is astronomical. It just doesn’t pencil. Trying to decipher which ones are going to make it, and how you get those costs down is key. The ideal way would be to do it with maximum flexibility where you’re not having to install these things and yank them out of the wall later on. … It’s a struggle. Let’s talk about some disruptive trends versus some that are just on the fringe. How is transportation changing your product with regard to ride share and connectivity to public transportation? BEATTIE: Building codes haven’t adjusted to recognize a lot of the changes that are coming—such as how people are now using their cars. On the municipal side, there’s a slowness to recognize that parking requirements are dropping dramatically. That’s preventing a lot of multifamily project developers from being able to reduce the parking for their projects. Right now, we’re overbuilding the size of garages. … More and more, the parking is getting pushed below ground where it’s going to be difficult to use for anything other than storage when it gets repurposed. BAKEWELL: It’s funny, because through the last development cycle, developers would under-build parking. … We don’t want to have a property that’s not successful because it doesn’t have enough parking—that mentality is still with a lot of us. But now we have the opposite problem, where we’re building too much parking. We have our internal StreetLights standard of how much parking we want: We do it by unit type and size of the units, etc. It’s typically higher than code. But we’re looking at adjusting that back down because we realized we’re being wasteful with it. We don’t want to cut it back too far, but we know driving continues to be less and less of a necessity. We’re trying to figure out how to build parking that we can utilize as something different later. The above-grade garages are a little easier. We had a zoning case in San Diego where they pushed very hard to get parking below grade. We convinced them that it was better to do above grade: We’ll screen the garage today, but in five years, we have the ability to convert it to more apartments. For us, it was a win. BENNETT: With regard to technology in our industry now, we don’t know the winners yet. How do you design and adapt in an environment where you know it will be different tomorrow, but you don’t know how? That provides opportunity. It’s people who’ve figured out how to build in the best adaptability to be winners in the long run. That’s tough. It’s a challenge right now for us. We all need to start thinking about how the coming generation—the millennials and Gen Z people—will use space and use product. For instance, we can’t think about cars as a product anymore. Cars are a service. That’s the thinking that we are in front of right now. ANSEL: A critical mistake on new development for us is not designing for drop off—the amount of space needed for [rideshare], whether that’s Uber or Lyft. To your point, parking is over-parked. So do you design parking spaces differently? Do you build the capacity that costs you more money on the front end, but build it with a bigger ceiling height with the idea that, at some point in time, you’re going to try to do something different with it? BAKEWELL: We have partners who are pushing the number of vehicle charging stations that we’re doing in the garage, and I get it. They’re trying to build for long-term viability, but I think reality is, by the time we get that many electric cars, we’re going to have fewer cars and won’t need spaces. BILLINGSLEY: Because of that question mark floating out there, we’re running the power in parking garages, but not putting it through. How will air taxi services that could be here as early as 2020 disrupt your industry? ANSEL: Today we’re not thinking about that. I would view that the same way we are looking at Uber and Lyft: make sure you design in the future the ability for that to have a spot to land or deliver, but today we are not designing that into our communities. BEATTIE: It’s hard to get approval for a landing pad on the top of your property. Are you looking at how you could get your properties near sky ports? GEYER: I think it’s a lot like retail development. Where is next interchange going to be? That’s part of the infrastructure that you have to look at and develop, but without knowing where that’s going to be, it’s hard to predict. BILLINGSLEY: In the meantime, we’re still going for proximity to DFW Airport. Which trends are non-negotiable or expected, and which ones are you still determining if they’re worth the effort? ANSEL: From our perspective, building a sustainable building is not that much more expensive than what we would do as a base case. Our impression is that millennials won’t pay more in rent for a sustainable building, but they do expect sustainable features, so it will be a potential differentiator. Where you get paid for sustainability is on the exit. When you’re selling a building, the next buyer will ask that question and potentially pay a lower cap rate if you have a sustainable building. When you say sustainable, do you mean LEED? ANSEL: I don’t necessarily mean LEED, but I do mean a certification of some sort. LEED has improved—LEED was originally designed for office buildings. So what points you got for sustainability in LEED weren’t necessarily more efficient. We try to be thoughtful about delivering things that create energy efficiency and better services for residents. In most markets, there’s a sustainable certification that is more multifamily centric. BENNETT: You saw the proliferation of LEED—the idea got a lot of steam pre-recession—in the mid-2000s. Initially, the technology wasn’t quite “there” to deliver a good experience to residents. [For example], the LED lights in 2004 were horrible—very harsh and bright. Residents weren’t used to having motion-sensing lights in the hallways. People hated it. They didn’t like opening the door and it’s dark before the light comes on. Same with low-flow toilets and faucets. Conceptually, they liked the idea, but not the [actual] experience. BENNETT: But the technology’s changed. People have adapted. It’s OK to have motion-sensing lights. So, I agree. Residents are expecting it now. GEYER: You can drive it, too, with the financing. On the agencies side, Fannie Mae and Freddie Mac have their “share green” program. If you’re doing a renovation, or if you’re improving a property and creating low-flow water and the electricity usage goes down significantly, they will give you a better interest rate on your financing. That drives a lot. The pay back is probably less than a year. When you do the math on that—whether it’s an older property or new property—you’ll get a better cap rate on the end and better financing up front. That’s a huge driver that others will start to peruse—maybe mortgage investors will want to drive that as well. In the first of a three-part series on the multifamily sector in Dallas-Fort Worth—a “Market in Motion”—expert panelists discuss the strength of the market, the drivers of demand, changing demographics, and where the money is coming from. Part Two delves deeper into the multifamily market, looking at ways the business community drives success, the ins and outs of affordability, urban-suburban developments, co-living, the challenges that come with the urban experience, and the Airbnb influence.